Today I have the pleasure featuring this guest post by Juliet K. Kennedy! Juliet’s blog is one of the first I started reading when I first started blogging. I instantly fell in love with her writing style and connected with the content of her blog. She is a beautiful person and a beautiful writer. I really believe God connected our hearts through this very big blogging world—it’s such an honor to feature her work right here today! Thanks so much Juliet for sharing this message with us!! On Palm Sunday in 1975, a 19-year-old mother walks down the aisle of small church in Eastern Ohio. She stops at the altar and bows her head. In the moments that follow, she whispers a prayer to Jesus, confessing her sins and believing in her heart that He is Lord and died to save her. When she arrives home after the church service, her husband notices the change instantly. She holds her one-year-old daughter and vows to raise her to know and love Jesus. In the spring of 2007, a 33-year-old mother weeps in her car as she drives home after a long day of work. If she is lucky, her one-year-old son will still be awake and she’ll have a few minutes with him. But the turmoil of being away from him for many hours each day wears heavy on her, and she cries out to God for help. That moment marks a change in her heart, and in the months that follow, she prays and trusts in God more than she has in years. As she holds her son, a desire grows deep within her to raise him to know and love Jesus. That 19-year old mother was my own mom. And the 33-year-old mother? That was me. Motherhood transformed our hearts and our faith walks. My mom’s faith walk began in her childhood. God gave her two aunts of strong faith who were devoted to sharing Jesus with her at a young age. At church, they dedicated my mom to Jesus. They told her about missionaries and taught her how to pray. They trained her up in the way she should she go. When she was 15, her father died. She couldn’t understand how a loving God could allow her father to die. So she turned away from God for a season. But her beloved aunts laid a firm foundation of faith within her. And when the time was right—after the birth of her first child—she returned to her faith in God and committed to training up her own children in the way they should go. My mom kept her promise to teach me about Jesus. She faithfully took my brother and me to church and constantly prayed for us kids and for my dad, her husband. God heard and answered many of her prayers, including my dad making a commitment to follow Jesus. This transformed my family, and together, my parents taught my brother and me about God’s character, truths, and commands. They trained us up in the way we should go. I grew up knowing and loving Jesus. I blossomed in my faith during my high school years but strayed from it in my twenties. Though I still attended church with my husband during that time, I failed to invest my heart and time into my relationship with Jesus. I hobbled through the motions of Christianity. Then I became a mom. The birth of my son ignited a yearning within me to draw near to God. Though I wandered from my faith for a season, the solid foundation my parents built in my childhood still remained. And when the time was right—after the birth of my son—I returned to my faith in God and committed to training up my son in the way he should go. As parents, we carry a great responsibility to train up our children in the way they should go—the way of Jesus, our perfect example. But how do we do this? *We begin with loving God with all our hearts, souls, and strength, and by sharing this deep love with our children. *We train them by sharing God’s Word with them and by praying with and for them. *We train them by the way we live our lives and by the way we forgive and show grace to others and ourselves. *We train them by leaning on Jesus and allowing him to lead the way for us as parents. As our children grow into adults, they may stray from the faith we have taught them. But the foundation will still be there, and during this season, we put our trust in God and pray for our children. And when the time is right, there is a good chance that they too, like us, will return to that faith and never depart from it. Juliet K. Kennedy lives in beautiful Colorado with her family. She discovered her passion for writing when she was in second grade. In her free time, she delights in writing fiction stories, articles, and devotions. 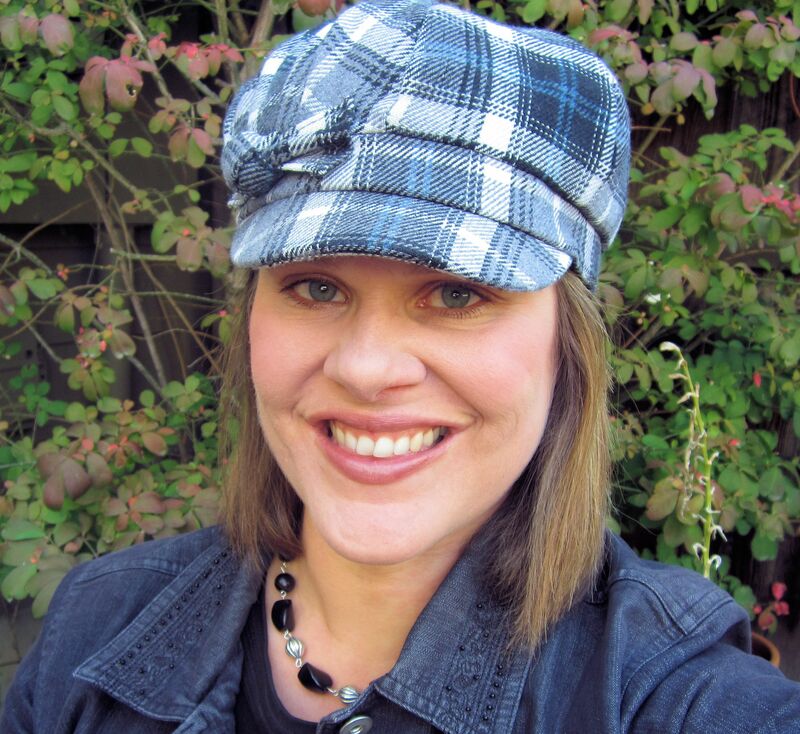 She blogs about faith, motherhood, and writing at www.julietkennedy.com.